Law firm websites are about to undergo a seismic change. The old-fashioned “electronic brochure” websites will soon be supplanted by a new type of website called the lead-nurturing website. These next-generation law firm websites will be much more than pretty branding pieces – they will actually generate and nurture new business opportunities. 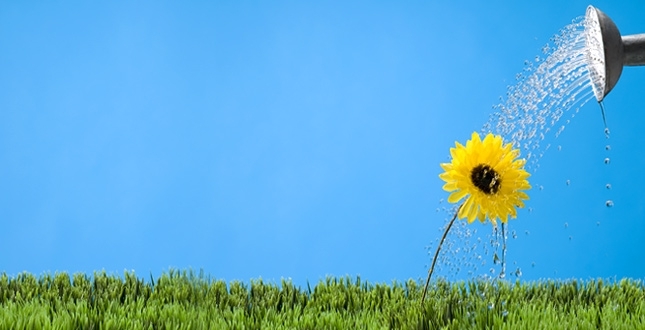 So, what does a lead-nurturing website look like? Before exploring its design and features, we'll briefly address the basics of how these websites work to develop new business. Engages Prospects – You engage prospects by feeding them a steady stream of cutting-edge thought-leadership content. One way is by regularly emailing content to your prospects as a means of getting them to visit your website. Tracks Them – Once a prospect is on your website, you track them (by name). For example, the ecosystem’s advanced analytics tools enable you to track every page they visit, every document they download and every webinar they sign up for. You also track how often they come back. Identifies Leads – Based on how enthusiastically prospects interact with your marketing content, the advanced tracking software generates a list of high-value leads, complete with numerical scores indicating their likely level of interest. This list tells you where to focus your business development efforts. To successfully deliver new business opportunities, a lead-nurturing website needs to be designed to keep visitors engaged and wanting more. This is because the lead-nurturing ecosystem identifies which prospects are worth pursuing, based on the amount and type of content they consume. 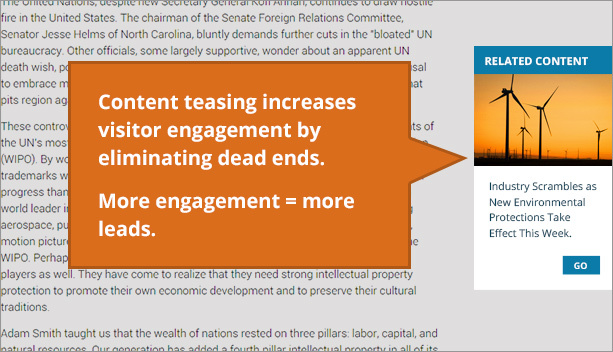 In short, more engagement equals more leads. Content Teasing – Lead-nurturing websites need to encourage visitors to consume content for as long as they are interested. One way to accomplish this is by designing a website with no dead ends. For example, when users reach the end of an article, your lead-nurturing website will be able to offer “related publications” – just like you see on other large content sites like NYTimes.com. Calls to Action – In order to maximize engagement, lead-nurturing websites will feature many more calls-to-action (CTAs) than do traditional law firm websites. Websites will be designed to accommodate CTA prompts such as “sign up for our newsletter” or “download a whitepaper” in the sidebar of every page of the website. And because they will be ubiquitous, the design of CTAs will become an integral part of the website design process – and your website CMS will include functionality that allows you to deploy them with just a few clicks. 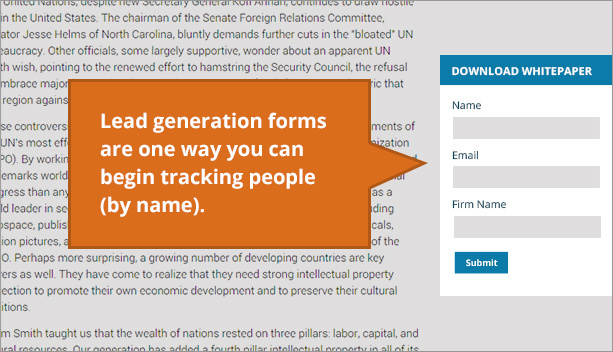 Enable Tracking – Forms allow you to begin tracking website visitors by name. These forms are the only way for your marketing ecosystem to track visitors who are not already subscribed to your email list. Identify Hot Prospects – Forms are a great way to gauge the interest of a particular visitor. People willing to sign up for a webinar or download a document are likely to be fairly interested in your services – and your tracking software will recognize these “high-value” prospects. Walled Content – One way to generate leads is to write in-depth reports or whitepapers on a hot topic and require users to fill out a form in order to download the entire piece. Lead-nurturing websites will give you the administrative control you need, to deploy walled content with a few clicks. Additionally, they will be configured so as to track who fills out the form. Side note: At Great Jakes, we recently wrote a whitepaper on lead nurturing and required people to fill out a form to view it. This resulted in our being able to track over 500 possible leads. Integrated Blogs and Satellite Sites – Many law firms have their best content located on blogs and satellite websites that exist apart from the firm’s main site. We call this the “hub and spoke” model. Since people don’t like clicking back and forth among websites, the hub-and-spoke model hurts engagement and tracking. To solve this problem, lead-nurturing websites will be built in a way that incorporates their blogs and other satellite websites into the firm’s larger website. We call this the “nest” model, and it offers an array of benefits (beyond lead nurturing). We expect that this will soon become the standard for all law firm websites. Full of smart, cutting-edge insights – and well written. Plentiful. You’ll need a deep repository of articles, blog posts and webinars. Fresh. Ideally, you would continually add new content. Focused on an emerging issue – an area of the law that is new, exciting and poorly understood (more about this below). Want an example of a real, live lead-nurturing website? You won’t have to look far, as you’re on one. 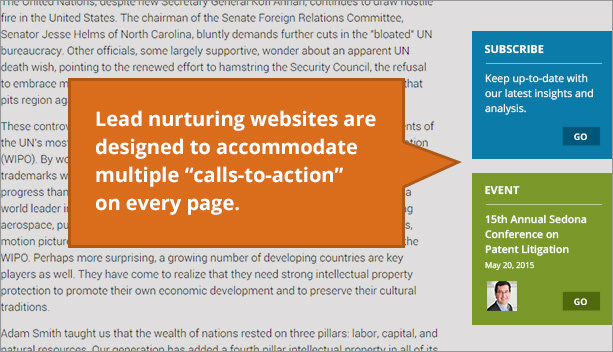 We recently redesigned our website to take advantage of lead nurturing. Take a look around, and see how we’ve implemented the various features described above. If you’re looking for more information about lead nurturing, check out our whitepaper entitled, “From art to science: the coming paradigm shift for law firm websites.” It’s 15 pages and examines what it takes to implement an entire lead-nurturing ecosystem. This is an excellent piece. I’m happy to recommend your team to law firms looking to rebrand and re-do their site. Or just re-do their site! John – Thank you for the endorsement! Means a lot and is appreciated. Great post, Dion. That said, none of the “design essentials” you are suggesting are really revolutionary. The big question to me is: why don’t we see more of this already on law firm websites? Even without “advanced tracking software” it seems that these would be a good idea. I agree. Even without advanced user tracking, these website design enhancements would certainly help firms drive more business opportunities. That’s why most of the enhancements I described are becoming standard features on our websites. That said, I think that once law firms have advanced user data, it will change how they market themselves online. Once you begin tracking specific metrics, you inevitably begin to focus on improving those metrics. And the design and functionality enhancements I described will give firms the tools they need to improve results. Hi Dion….great post! I loved reading this as it is very much in keeping with my philosophy of attracting clients, providing content they find interesting and/or valuable, then nurturing this “lead” all the way through the business development/sales cycle. To answer Parker’s question, we haven’t seen much of this to date because firms and lawyers have been conditioned to think this is too “sales-like,” and that there is something wrong with that type of behavior. I am not referring to unethical practices that we should all be conditioned to avoid, but the simple act of taking our target audiences by their virtual hand, helping them learn and grow via our knowledge and insight, then walking along the path with them so we are there when they need additional help and expertise. This is definitely the way of the future, and has been the way the non-legal world has been communicating for some time now. I look forward to working with my Great Jakes friends to spread this message far and wide! 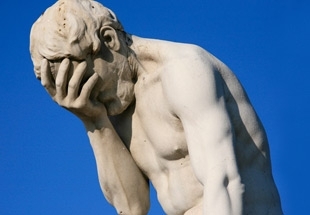 1. know that most law firm pages are not viewed for more than 3 mins max – people skim read. 2. more than 4 main elements on a page distracts a viewer, may confuse him or her or may even put him/her off from reading, even if it’s a topic they need to know about. Generally, less is more, on a page level, and visual cues are also now essential for law firms, as with almost everything on the web.